For years, informed hunters and wildlife managers have known that one of the best methods for improving your deer heard is to manage by age. 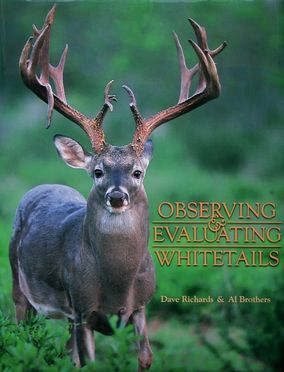 Observing & Evaluating Whitetails, a book by Dave Richards and Al Brothers can help you do that. Acclaimed wildlife photographer, Richards, and renown deer biologist and creator of quality deer management concepts, Brothers, blended their skills to produce an amazing book showcasing some of the most impressive whitetail photography ever assembled. The books beauty is only over shadowed by its usefulness. With more than 400 stunning photos the book craftily teaches how to age not only by physical characteristics but also by behavior. 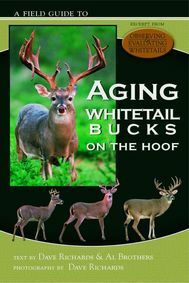 The authors support their conclusions with photos chronicling the lives of dozens of known-age bucks that Richards has followed and photographed for years. ​​All images in this website are copyrighted, original photos by Dave Richards. Each and every image is protected by United States and international copyright laws. Using any of the images and or content from this site for any purpose what so ever is strictly forbidden without the expressed, written permission from Dave Richards. Please contact Dave Richards directly for the licensing of any use, and/or purchase of these images.